The volleyball team’s magical run finally came to an end. The Cardinals were defeated in the NCAA National Quarterfinals by Juniata College in Pittsburgh, Penn. The battle was a tough, five-set match. The score of the match was 20-25, 25-13, 18-25, 25-22, 15-12. The Cardinals won the first and third sets, and they were also leading the fifth 12-9 before Juniata came back and won in heartbreaking fashion. In the loss, the Cards had 56 kills with 88 digs. Captain Madeleine Lundberg ’19 led the team with 17 kills and Phia Bellizzi ’21 led the team with 32 digs. 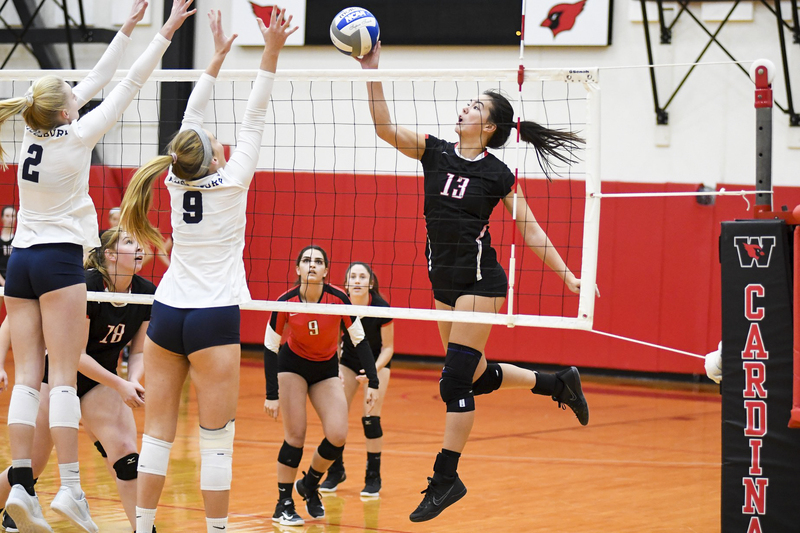 The key stat in the loss, though, was hitting percentage as Juniata had .20 hitting percentage while the Cardinals only had .139 hitting percentage. Despite the disappointing end to the season, the Cards had a historically great season, going 20-6 and making it to the Elite Eight for the first time in school history. This season was a total team effort, and everyone did their part to contribute. Many players shined this year including Bellizzi and Mia Hogan ’20 who both made All-NESCAC Teams. In addition, Bellizzi was named a Third Team All-American and Kaira Muraoka-Roberston ’20 earned an All-American Honorable Mention. Besides these individual players, what really made the team successful was the emphasis on teamwork and focusing hard in practice. Head coach Ben Somera and Lundberg have talked about the team’s work ethic all season, and it really showed in games as everyone worked together as a team and believed in one another during the run through the Regional Championship. This historic season shows how far the volleyball program has come here at Wesleyan since Somera took over. In Somera’s first year, the team went 5-15 overall and 1-9 in the NESCAC. Now three years later, they have won a NESCAC title, made back-to-back NCAA tournament appearances, and made it to the Elite Eight of the NCAA Tournament. Lundberg, who was a first year on that 5-15 team, credits the coaching and the culture for how far the program has come. This success in the sport of volleyball comes right after the University won its first ever National Championship in lacrosse and shows how Wesleyan is continuing to build its athletic program to become a respectable university throughout all of Division III. Wesleyan has done a lot to bring its athletic program to where it is today as it has begun to really compete with some of the top DIII programs. This is just the beginning as Wes hopes to keep succeeding in all sports. Bring on the winter.